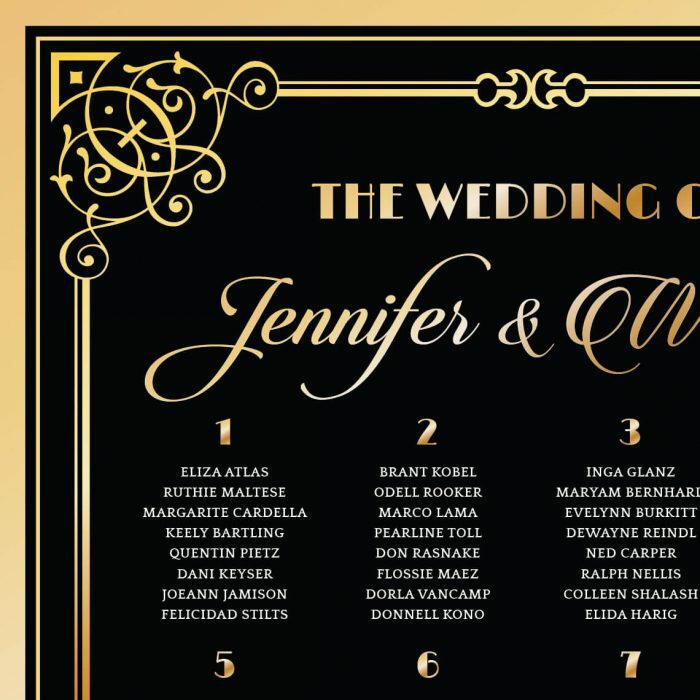 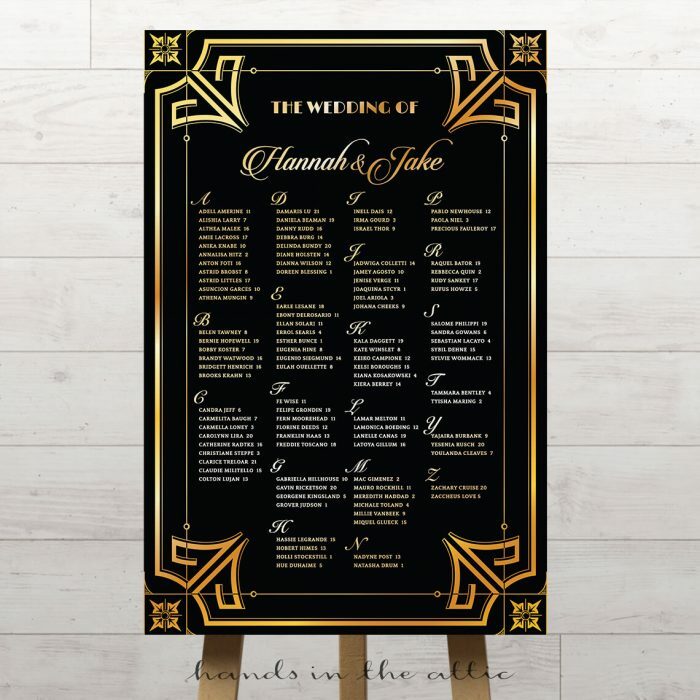 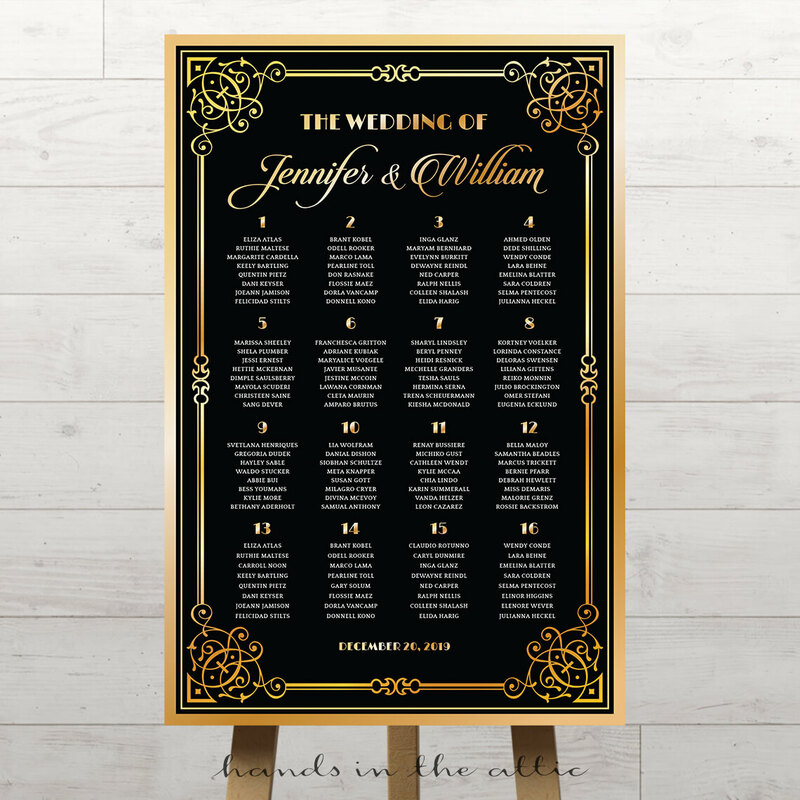 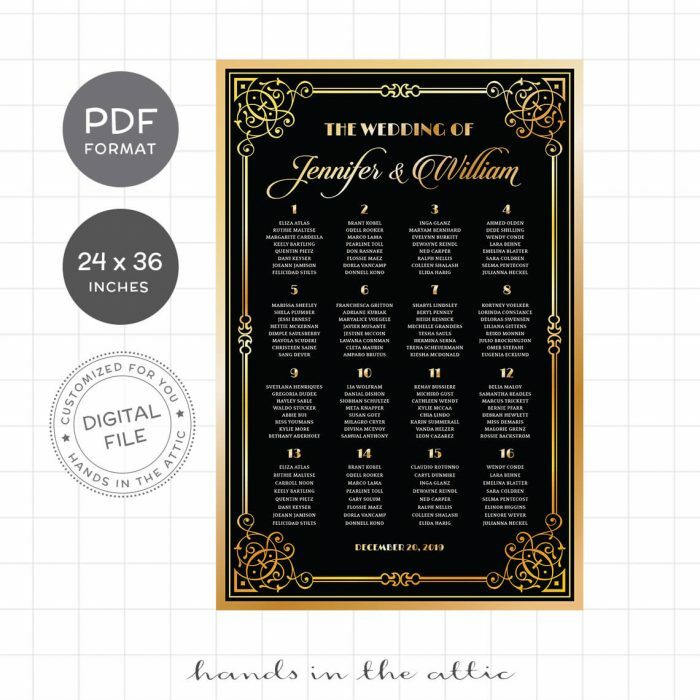 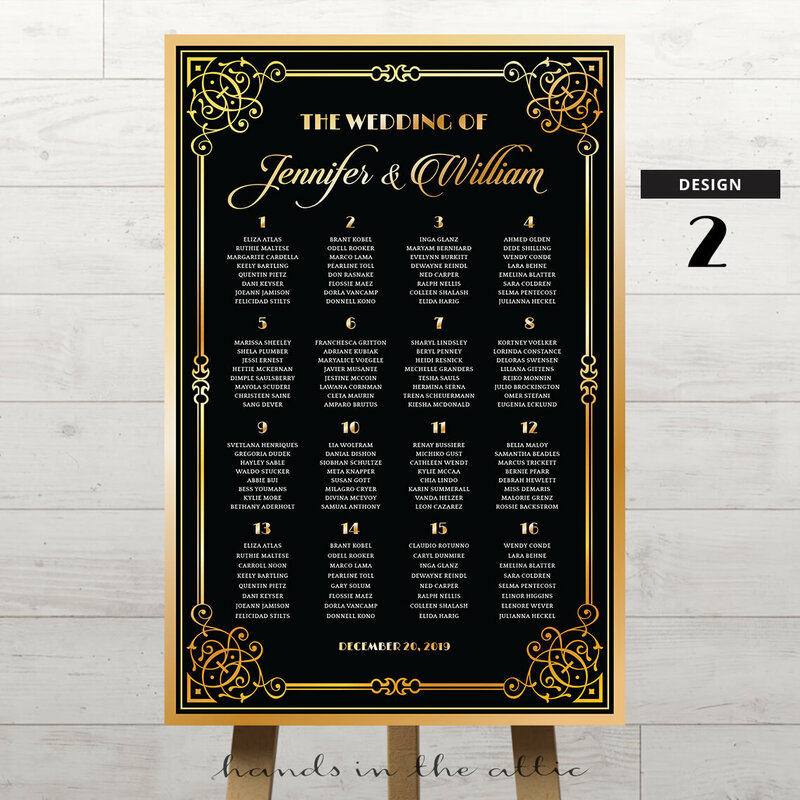 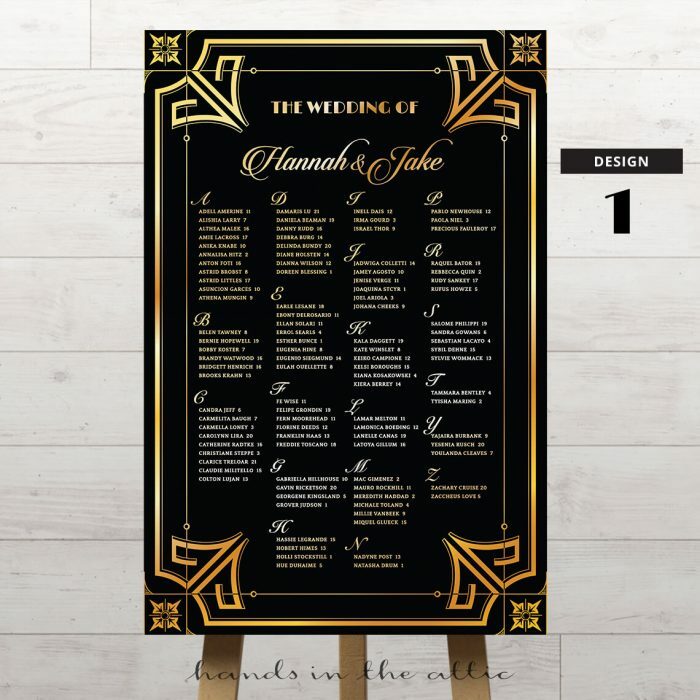 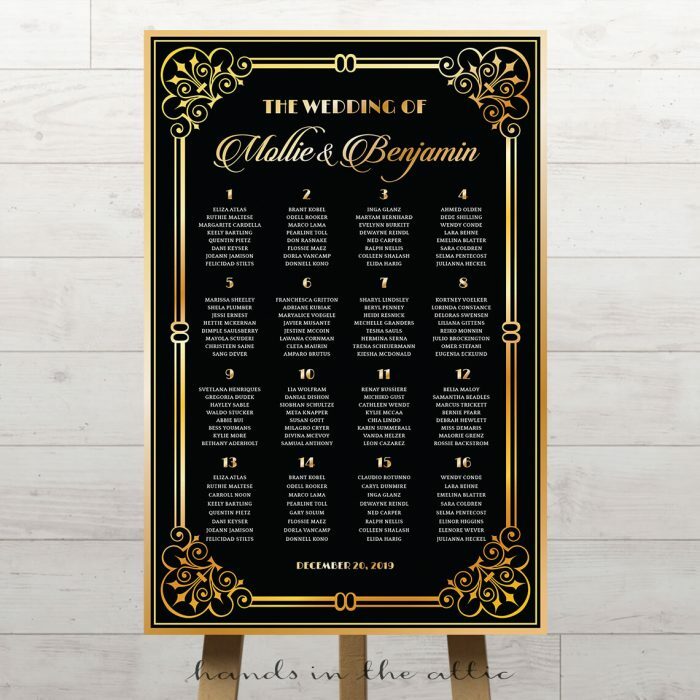 Make it easy for your guests to find their seats with our Great Gatsby Art Deco Wedding Seating Chart. Text and design in shades of yellow mimics gold and contrasts wonderfully against a black background. You may display your guest names by table or by alphabetical order. 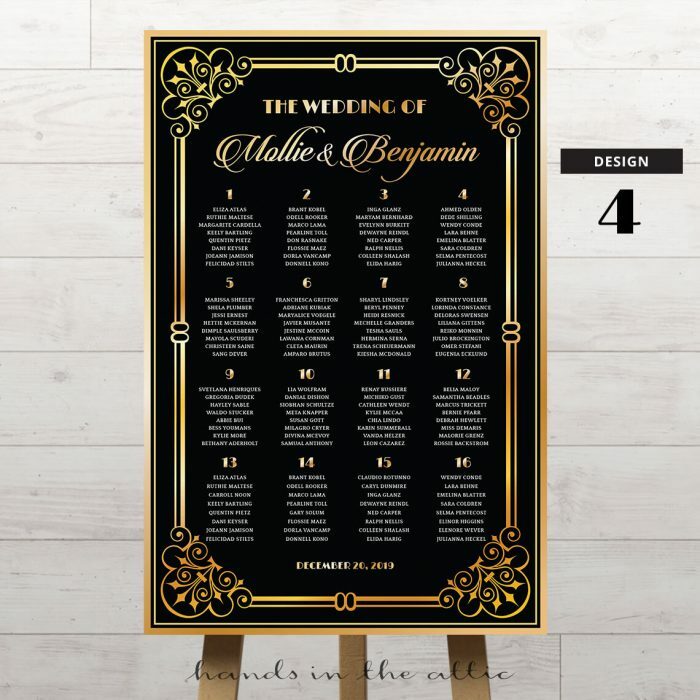 Choose from 4 different designs! 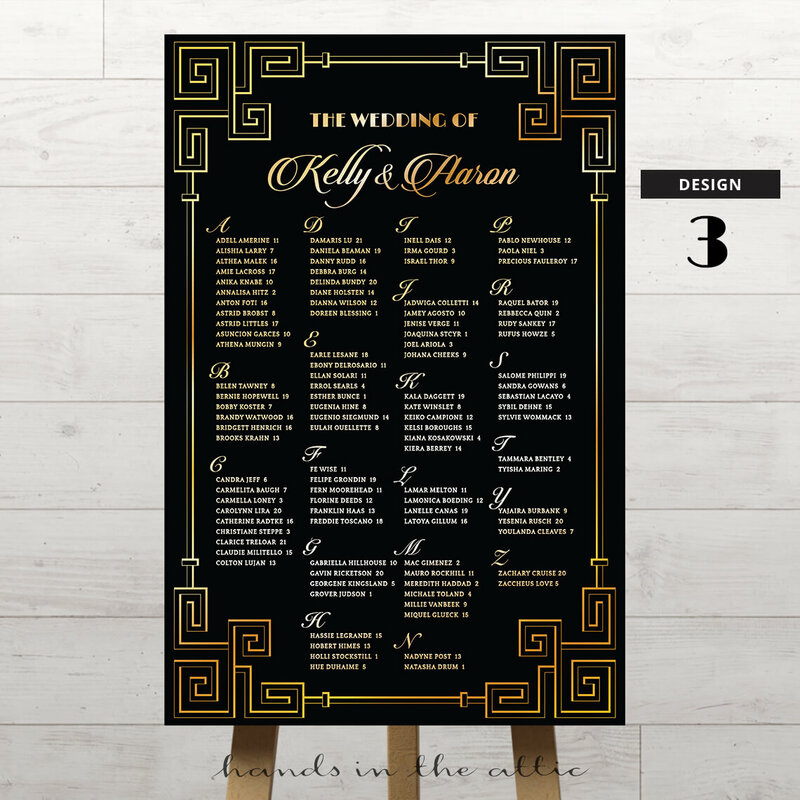 The first image is Design 2.